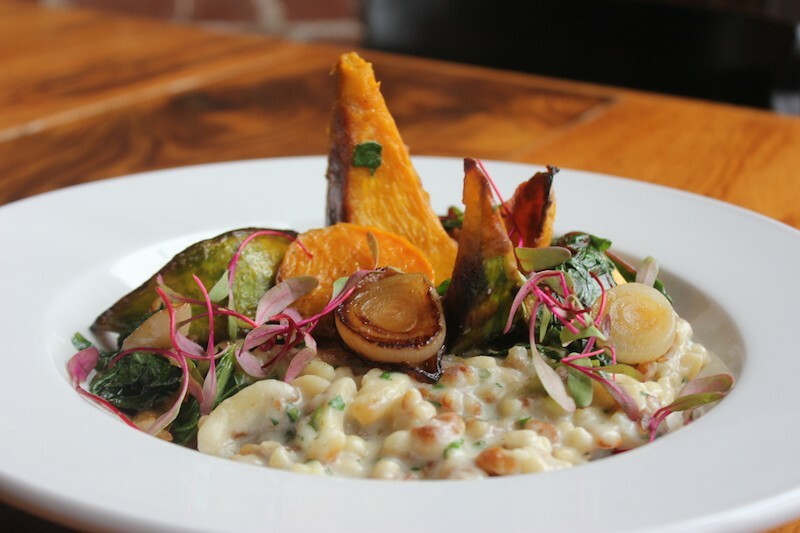 The Kabocha squash spatzle features dumplings, squash and cipollini onions in a gruyere sauce. 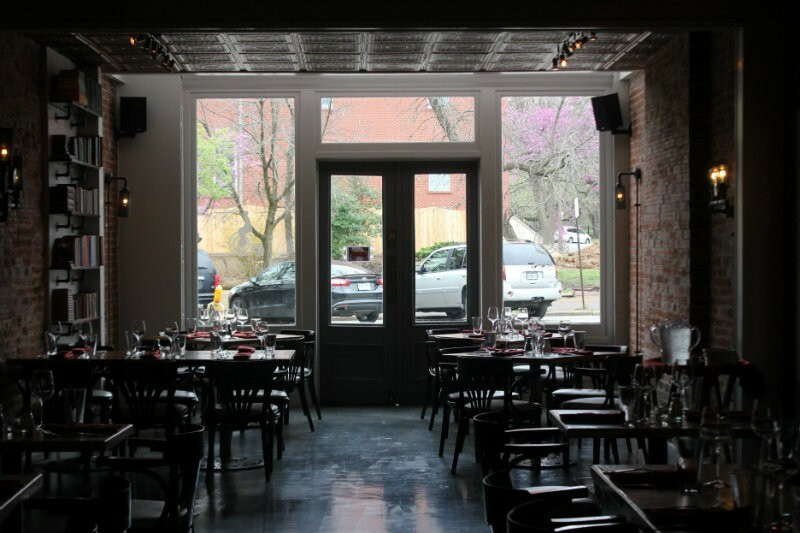 When Jonathan Schoen and Brian Schmitz took over the Lafayette Square space that had long held Ricardo's last winter, they thought they'd make a few renovations and get the doors open to their new restaurant by June — and by that, they meant June 2016. But the summer of 2016 came and went, and so did fall. Winter came; winter went. 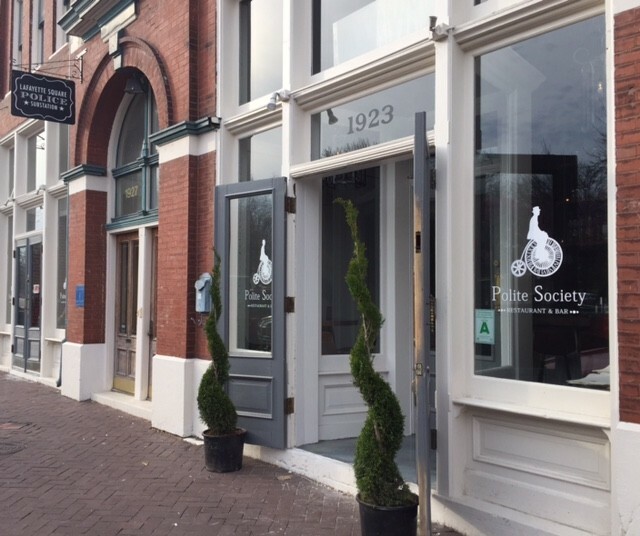 It was only two weeks ago, on February 23, that Schoen and Schmitz finally opened Polite Society (1923 Park Avenue, 314-325-2553) — the smart, stylish restaurant they'd always envisioned. And hey, it only took a year. 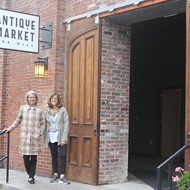 But all the hard work and renovation stress has now paid off in a restaurant that has the neighborhood buzzing. After just one week of service, Schmitz notes, "We've got some people who've already been in two, three times." 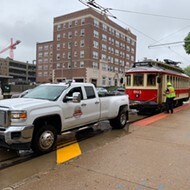 He adds, "They watched us work on this space for a year, and now they're showing their support by being here — that's something we don't take lightly." Anyone who ate at Ricardo's will find themselves simply stunned by the changes the partners have made. 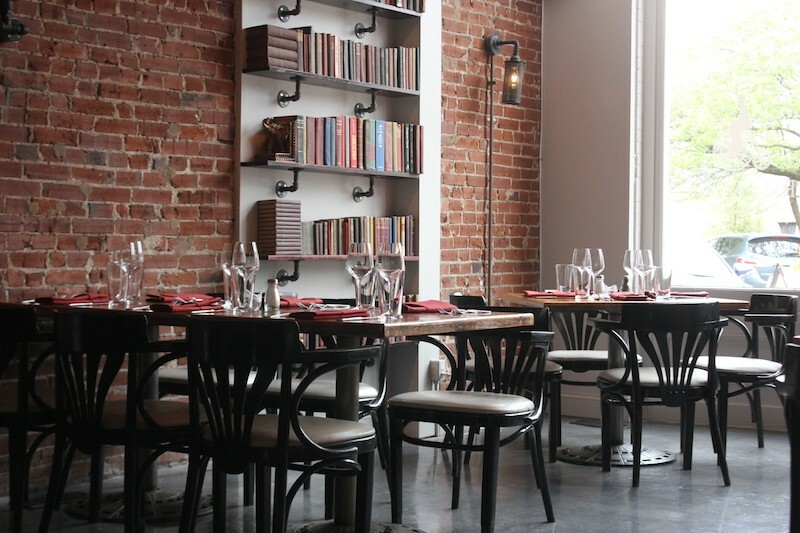 There are still three rooms, with the first featuring a bar, and exposed brick walls. But that's about it; a gut rehab has turned what was a warm, slightly fusty family restaurant into a sophisticated stunner. Built-in bookshelves, as well as library card catalog, pay tribute to a more literate time. The bar area is transformed, with a cool color palate and a large rectangular bar that now dominates the entry room. Meanwhile, the dining rooms have lost their carpet and gained built-in bookshelves, exposed lightbulbs and a few striking pieces of furniture taken from estate sales and family attics. Large windows face Park Avenue. It's not fancy, but in its throwback feeling, it somehow seems both modern and smart. 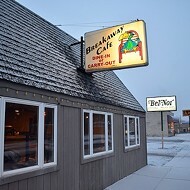 Schmitz explains that the restaurant's name is meant to suggest civility, not formality. "We want to create an environment that we need more of in this world — an emphasis consideration," he says. "That's for our guests and for our neighborhood. We set out to build a community of well-intentioned, reasonable people." And that goes along with the food the partners are serving. They aim to provide a seasonal menu that plays with whatever's available right now, but one that also takes seriously diners' different needs. You can get filet mignon or diver scallops, but many options are gluten-free, vegetarian or even vegan, no substitutions needed. The restaurant's personnel are something of a supergroup — it's their first time playing together, but they have lengthy resumes that include some of the city's best restaurants. Schmitz developed Sol and Reference Room, while Schoen has been the general manager for the Cheshire Inn's restaurants, which at the time included Basso, the Fox and the Hound and the Restaurant at the Cheshire. They've assembled a team led by executive chef Thomas Futrell, previously sous chef at Scape. Travis Hebrank, who runs the bar program, was at Scape as well. Even the sous chef is a rising star — Chris Kryzsik was previously the chef at members' only Blood & Sand. 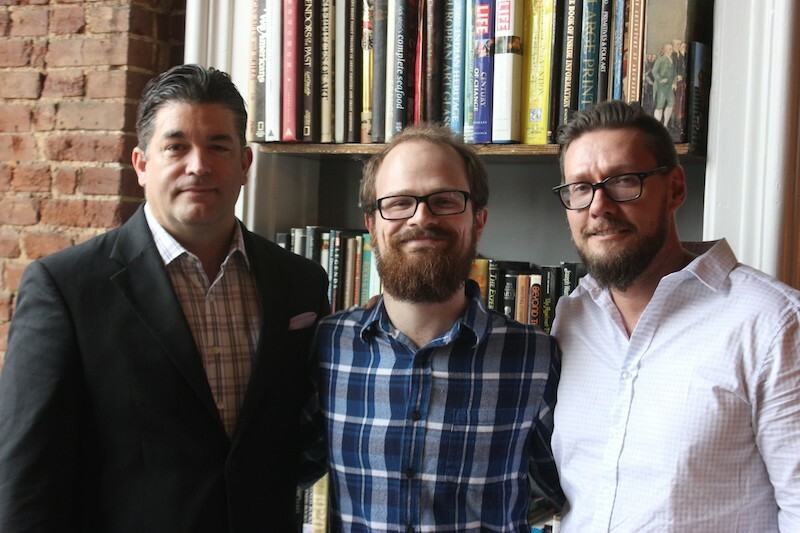 Jonathan Schoen (left) and Brian Schmitz (right) are partners in Polite Society; Travis Hebrank, center, runs the bar program. For the partners, getting the restaurant ready to open has been a labor of love. They did much of the work themselves, down to the wallpaper in the bar area, which Hebrank and his mother stenciled by hand. A friend in the restaurant business told them that, once the day-to-day grind sets in, they'd miss the part of the journey that involved getting ready for customers. Jokes Schmitz, "I can't wait to miss it!" Scroll down for more photos of Polite Society. 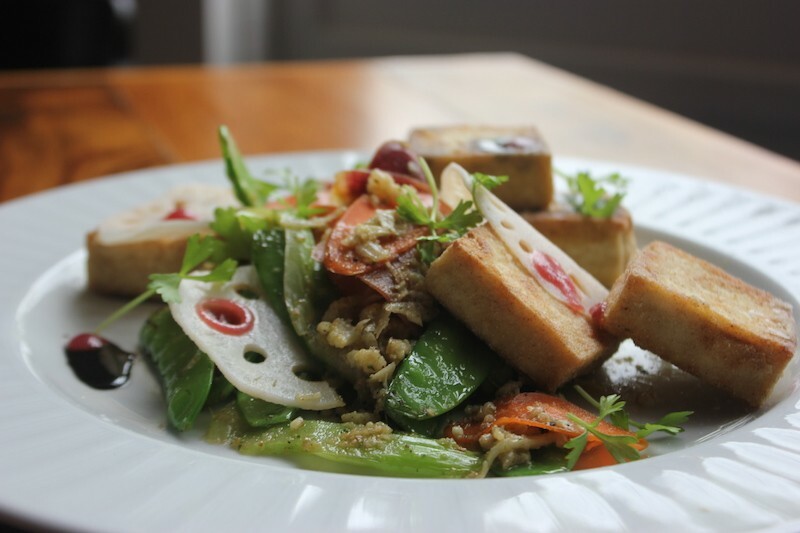 The "Crispy Okabe" features tofu squares dusted in brown rice flour atop a stir fry with cilantro ginger pesto. 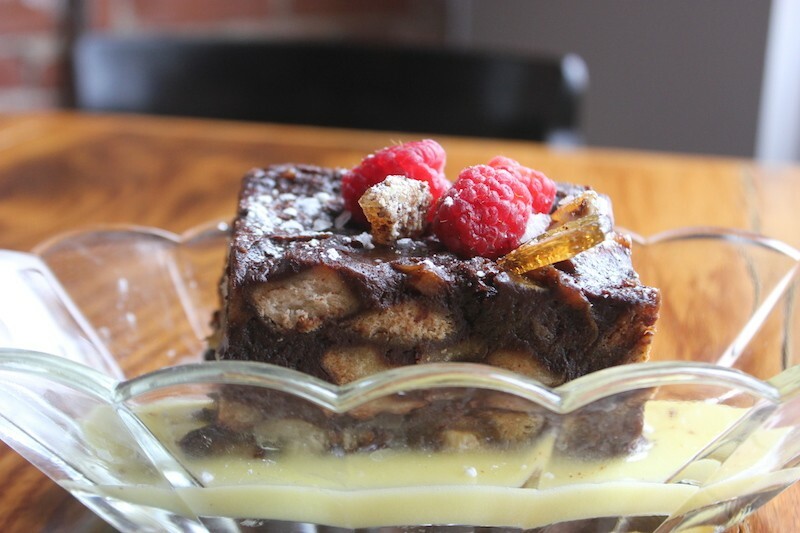 The dark chocolate and pretzel bread pudding — one of the top-selling desserts. 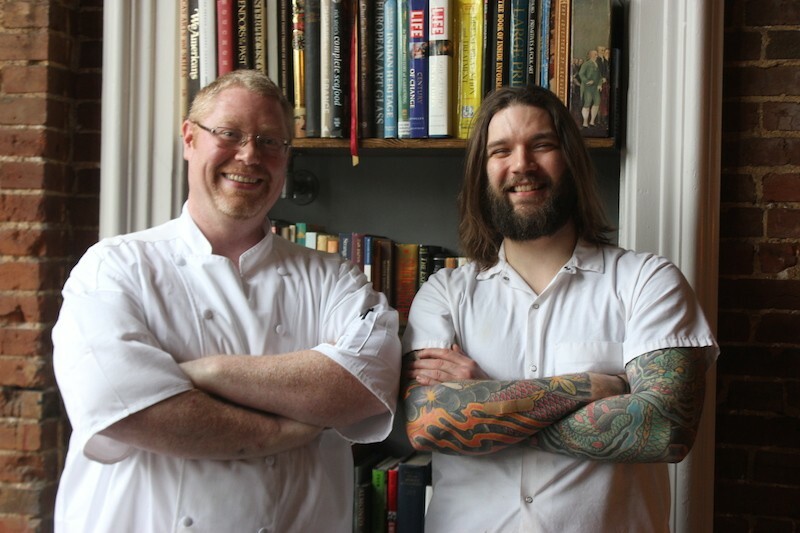 Executive chef Thomas Futrell and sous chef Chris Kryzsik. Polite Society's big windows face Park Avenue.